Hardcover, 9.75 x 11.75 in. / 118 pgs / 30 color. Text by Cüneyt Çakirlar, Dan Cameron, Serkan Delice. Well known for his provocative realist paintings, Taner Ceylan (born 1967) began his Lost Paintings Series as a contemporary exploration of the Orientalist gaze. Upsetting both Western and Eastern master narratives, the Lost Paintings Series presents Eastern figures in a fascinating navigation of history, power and narrative. “Esma Sultan,” Ceylan’s depiction of an eighteenth-century Ottoman princess renowned for her cruel disposition, draws on the empowering mythology of passionate, ruthless and assertive womanhood that characterizes accounts of her life. In other works, an Ottoman man gazes defiantly, cigarette in hand; a pair of male lovers give a chaste farewell; a veiled woman stands before Courbet’s “L’Origine du monde.” Ceylan assembles a cast of lost characters and voices that embody the many silenced by both Orientalist and official nationalist histories. 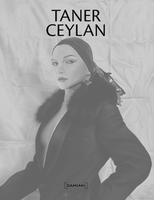 The book is published on the occasion of Ceylan’s exhibition The Lost Paintings Series at the Paul Kasmin Gallery in New York. 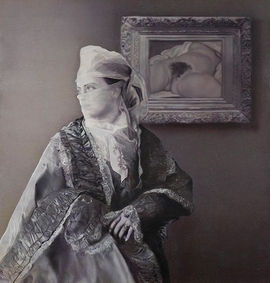 Featured image, "1879' (2011), is reproduced from Taner Ceylan: The Lost Paintings. 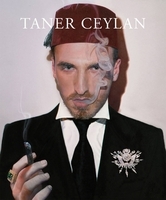 Foreword by Ferzan Özpetek. Text by Dan Cameron. FORMAT: Hbk, 9.75 x 11.75 in. / 118 pgs / 30 color.